Forty-eight lawn bowlers are poised to compete in Bowls USA’s most prestigious tournament. The event features the winners of divisional playdowns in singles or pairs from all regions of the country. 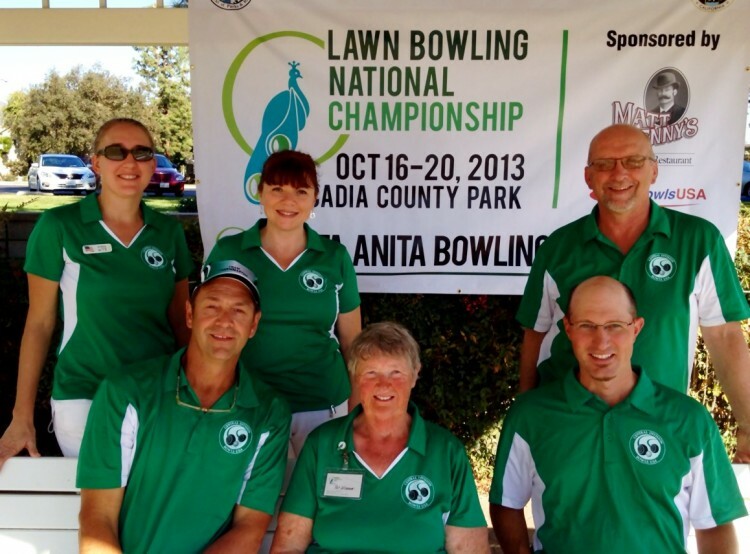 The 2013 tournament is being held at Santa Anita Green Bowling Green Club in Arcadia CA, October 16-20. Results will be continually updated at www.bowlsusa.us. Six bowlers from the Central Division — all members at Milwaukee Lake Park (WI) — have prepared for the competition that will take place over four days in separate men’s and women’s events. Pictured in the photo are Central Division’s representatives: front row- Bob Schneider, Pat Wimmer & Rob Behncke; back row- Anna Witt, Rebecca Nguyen, Steve Nelson.